Chris joined FISITA as Chief Executive Officer in August 2014, continuing a successful career and now bringing over 30 years’ experience working in the automotive industry. As CEO, Chris has overseen the extensive modernisation of FISITA, transforming the organisation into a leading platform for global knowledge exchange and facilitating co-operation and support amongst FISITA’s membership and the wider automotive and mobility systems industry. In addition to refreshing the FISITA brand and membership structure and offering, Chris has introduced a number of innovations including the one-day conference FISITA PLUS, a regular series of Technical Webinars and the FISITA International Engineering Community. Chris has also successfully established the FISITA Foundation charity with a number of initial high-profile donors, created to provide financial support for the next generation of automotive and mobility systems engineers. 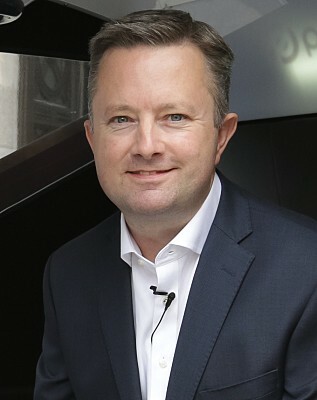 Prior to joining FISITA, Chris spent 14 years working within Society of Motor Manufacturers and Traders, the UK’s premier automotive trade association, was a member of the senior management team and Managing Director of subsidiary, Motor Codes. During this time Chris became recognised as an expert within the UK automotive industry and received recognition and awards from the industry for his work throughout the years. Chris is a Fellow of the Institute of the Motor Industry and regularly contributes to international discussions and thought leadership pieces on the continued transition of the automotive and mobility industry.